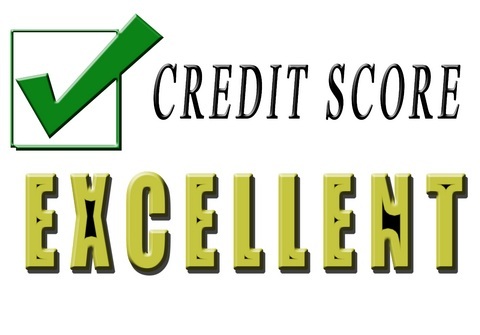 Previously I wrote multiple articles on credit score, including How to improve credit score. This guest post from Joshua may force you to think about credit scores from a different perspective. Enjoy the post! Hey everyone, I’m Joshua Rodriguez…you may remember me from my debut post a month or so ago. Today, is my 3rd post here and going strong!!! I love the comments you all leave so, please keep them up. Today, I’m going to talk a bit about credit scores. I’ve been doing a lot of reading, as I always do and I’ve found more and more articles talking about ways to manipulate your credit score. They talk about paying down debt, writing dispute letters, using secured credit cards and more for the sole purpose of improving your credit score. All of these concepts work but, not necessarily for all people. The bottom line is, you shouldn’t be concerning yourself with your credit score, you should be thinking about your financial stability! Credit scores were launched in the early 1950’s by the Fair Isaac Corporation and they were designed to help lender gauge the risk they would take when lending money to a specific consumer. These scores would follow consumers all their lives, going up as they achieved a higher level of financial stability and going down as they financial stability dwindled. This score would be the most accurate depiction of risk on loans ever created! It’s no surprise that once lenders saw the power of these scores as it pertained to their profit and loss reports, they used them to create new approval requirements. Soon enough, any loan that you would ever apply for would have some kind of credit score requirement. The bottom line is, lenders want to know that if they give you money today, you will pay it back in a timely fashion. So, thinking practically about credit scores from the consumer side of things, we can see that all they are is a gauge of financial stability. A simple 3 digit number that says either, “This consumer is financially stable and likely to pay back loans.” or “This consumer is not financially stable therefore is not likely to pay back loans.”. So, the score, in and of itself really doesn’t matter and nor do the tricks to improving it. What really matters is your level of financial stability and what you can do to improve upon it. As you know, the more financially stable you are, the better your credit score. The better your credit score is, the easier it is for you to be approved for a loan or credit card. Not to mention, other entities may look into your credit to decide things like if you should be eligible for adoption, some employers may look into your credit report to see if you qualify for the job (In states where the practice is still legal of course. ), even a rental car agency will most likely run your credit before renting a car to you. Because being financially stable will naturally raise your credit score, you will have a better chance qualifying for things like loans, adoption, jobs, auto rentals and more! The list really goes on and on. Now, there are some other benefits to being financially stable as well. My favorite is the health benefit. The bottom line is, studies have shown that those who struggle financially are often under much more stress than those that don’t. Believe it or not, financially stable consumers are less likely to suffer a heart attack, stroke and several other stress related illnesses. Let alone, when your body is not stressed, it has more energy allocated to things like keeping the cancer cells that are already naturally in our body at bay, allowing your immune system to fight off the common cold and more. The bottom line is being financially stable isn’t just healthy or your finances, it’s healthy for you! Finally, I’ve read several studies that have shown that over 50% of divorces were caused mainly by financial struggles. Taking steps to avoid financial obstacles may be the difference between a life long, happy marriage and a short, stressful relationship that ultimately ends in divorce! No matter what you’ve done to put yourself in a good place financially, there’s always more to be done. That being said, no matter where you are in you journey to ultimate financial stability, I’m sure that there are a few things that you can do to improve your finances. Budgeting – Budgeting is so important to me and, I’m not sure how I made it before I had a budget. Unfortunately, budgeting is not an act that the vast majority of consumers take part in these days. These days, we tend to rely on our memories, an email or a bill in the mail to let us know that we owe something. But, this mindset never leaves available funds for saving, aggressively paying off debts, ect… These things are best done with the help of a budget spreadsheet. If you don’t have one, learn how to make the spreadsheet I use here! Credit Report Checks – We all know that no human is perfect but, we often fall under the misconception that all computers and algorithms are. The bottom line is, the credit reporting system we have is good, well, it’s great but, there is no perfect system. That being said, to ensure accuracy in reporting and to make sure you are aware of all that you owe, it’s best to get a copy of your credit report 3 times per year. Simply take a look around and make sure everything is accurate. The good news is, your credit report is free at www.AnnualCreditReport.com. No credit card required! Add To Savings Often – Having a decent savings account is incredibly important to anyone who will admit to being financially stable. The bottom line is, the stuff hits the fan all the time, it’s up to us to have the tools to clean it up when it happens. When that happens financially, having a padded savings account can go a long way. That being said, budget a specific amount that you can afford to send to savings out of every pay check receive and remember to follow through! Pay Back Outstanding Debts – Debt is the one thing that the vast majority of us have in common. However, when you get the debt paid back, that weight is finally off of your shoulders and more of your income will be available to you for things like investing! So, take a look at your budget and think of ways that you can aggressively pay off your debts. I’ve got a hint…Pay the highest interest rate first, no matter what the balance is, the higher rate is costing you more interest per dollar! Think About Retirement – I know I might sound like a cheap ad here but, there is no better time to start putting money into retirement investments than now! Because interest compounds, loosing 5 years in investment time on an investment that is generally 40 years could cost you over 30% of your gain. The faster you start investing for retirement, the more money you will retire with! And, I mean substantially more! Always Have A Credit Card – There are several reasons that you should have a credit card. If you’ve got bad or limited credit history, secured credit cards can help to establish credit history. If you’ve already got good credit, you will be approved for decent credit lines that can act as back up funding in times of need. Renting a car, reserving a hotel or even buying plane tickets becomes easier when you have a credit card. Just make sure to keep it in good standings! Thanks for stopping by to read my post. I hope that you’ve learned a thing or two about credit scores and financial stability. If you have a comment, question or even a concern about something I said here, please feel free to leave a comment. I assure you, I will respond. Thanks again for reading! Though a credit score only determines financial stability, a 690 versus a 750 could mean saving a few bucks on an interest rate. I whole-heartedly agree that getting started on budgeting, saving, and paying down debts is a great way to be more financially “healthy” while at the same time improving your score (paying down debts improves a credit score). Great tips! Hey Little House, thanks for your comment! Financial health is so much more important than credit scores that thinking about that alone will improve your scores. Thanks again! I agree that people spend far too much time trying to reverse engineer or manipulate the scores. The scores are far more complex than people understand, and much of the score improvement advice is far too general to apply equally. Financial stability is key as you mention, but one part of the equation is too often overlooked: income stability. Our ability to repay debts is contingent on our future income streams. We all have mandated unemployment insurance, but very few people secure their incomes from disability. People with high debt/utilization ratios have lower scores because it suggests they will be unable to continue making payments in the event of an income disruption. Hey Kevin, thanks for your incredibly insightful comment! I couldn’t agree more! Nice perspective on this Josh! I agree with your points for those who will be relying on credit for loans. I’m a bit abnormal on this issue I think. I don’t care about my credit score because I’m working towards complete debt freedom and will not take out another loan in my lifetime. Eventually my number will go to zero if I don’t use credit of any kind over a long period of time. But I’ll be debt free and pretty financially healthy I think. Hey Brian, thanks for your comment. A lifetime plan to not use credit, that’s pretty cool! I hope it works out for you but, I’d imagine that without a credit card, you’re going to have a hard time doing things like renting a car, reserving a hotel room, ect… None the less, I hope it all goes well! Being financially stable will definitely help your credit score… BUT it is not a guarantee of a good credit score. You can be totally stable financially by paying cash for everything, but that will have a negative impact on your credit score because you have no credit history and the lender has no way to predict what you will do. This will hinder your ability to get a mortgage loan or a car loan in the future. Building credit through the careful use of a credit card will help your credit score. You have to start somewhere to prove your stability & reliability and this is one place to start. I’ve carefully guided both of my sons through doing this. Financial stability is critical, but having a good credit score opens many options that are otherwise not available. Hey Diane, thanks for your comment. I couldn’t agree more! The truth is, most financially stable people do use credit. Credit cards particularly. The difference is, they generally pay the card off each month helping to avoid interest rates and build credit scores at the same time. None the less, it is absolutely possible to be completely financially stable and still lack good credit scores. It’s just very rare that something like that actually happens. Nice and smooth way of breaking down the credit score so that anyone can understand it. I guess it basically comes down to having a stable job, not using to much credit and paying back the credit you borrow on time. It might be the ultra simplified version of how it works but it all comes back to those three things. With our house paid off, my wife and I are at the point in our lives where we do not plan to borrow any more. We still check our credit reports once a year to make sure we are not victims of identity theft, but other than that, we don’t really care about our credit scores. We would rather save before purchasing.rather than take out a loan. We do use cash reward credit cards for many daily purchases, but we never carry a balance. I check my score pretty regularly, just to make sure that nothing strange is on there. That said, as you mention, making sure your financial house is in order is the most important thing. And, generally speaking, your credit score will follow suit. Your articles are very good and wise! I like them, so keep going! What makes me impresion is that your advice for improving the credit score is not just for the credit score. I mean it’s not some advice for tricky ways of manipulating, but you give advice for a different, wise lifestyle where you should think if you do really need it before buy it.